Some things can only be seen in the shadows. I started reading The Shadow of the Wind a few days ago, and this quote jumped out at me. 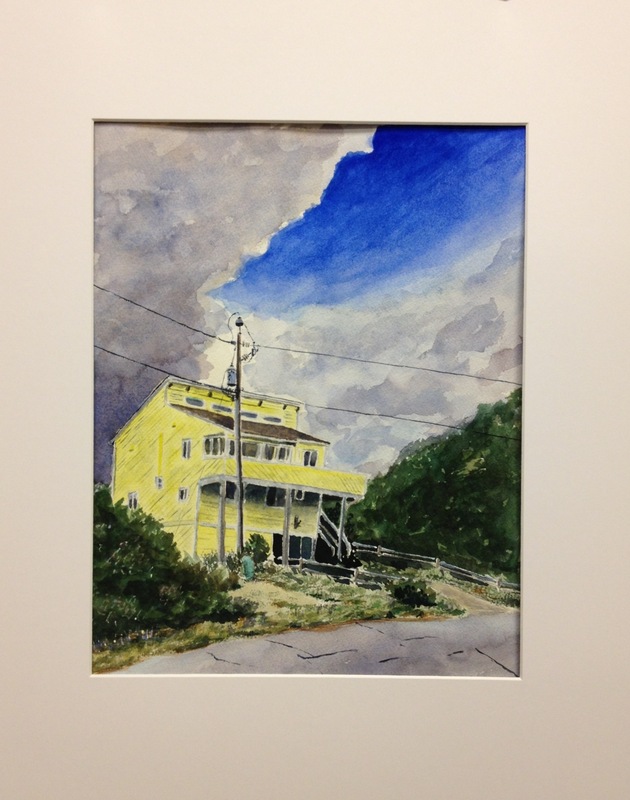 The timing was perfect because I had just laid down the shadow across the front of the yellow house (shown in my last post and mixed with ultramarine, primary yellow, and burnt umber) and I was intrigued by the interesting look achieved because of the granulating ultramarine pigment. This is more than just a shadow. There’s some luminescence to it, and its presence gave the house an identity. With this painting I have become very interested in the colors of shadows. I have been noticing how blue John Singer Sargent’s shadows often are, and how compelling they can be as a result. I wanted to borrow from that with the color of the white trim on the house, which, because of the strange cloudy and blue sky should reflect some interesting colors, and even on the fence. While the spaces are small, I tried to work in a few splashes of light cobalt, cerulean, and even a little viridian as another nod to Singer Sargent, as it was a favorite color of his. I also used it in the little power box at the base of the pole. Certainly not as compelling as his shadows (mine are actually quite bland in comparison), but what I did seems to fit, at least at this hour. I think I am about done with this one, so I am showing it in a mat. I will hold on it for a few days to see what else, if anything, needs to be done and get a better photo with my Nikon and repost later, but for now here’s one last iPhone shot. Corey, this turned out very well. Love the yellow and blue contrast. The addition of the street works We’ll in establishing a base to ground the piece – no pun intended. Great quote and great observation.